Stay in a room designed for comfort. Our standard double room offers two cozy double beds dressed in crisp white linen. Enjoy unlimited, complimentary access to high-speed Wi-Fi, cable/satellite TV and an in-room coffeemaker for your convenience. *This room is available as either a standard or poolside accommodation with an Atrium view. *This room is available with wheelchair accessible features. Rest well in a cozy Queen bed dressed for comfort and relaxation. 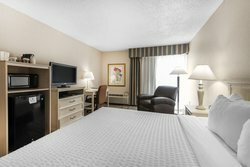 This room comes equipped with high-speed Wi-Fi, 32-inch LCD/Plasma TV with cable/satellite entertainment and a dedicated work desk. Kick your feet up and relax with a comfortable chair and ottoman. Take comfort in a spacious room equipped with a sizable King bed outfitted for relaxation. 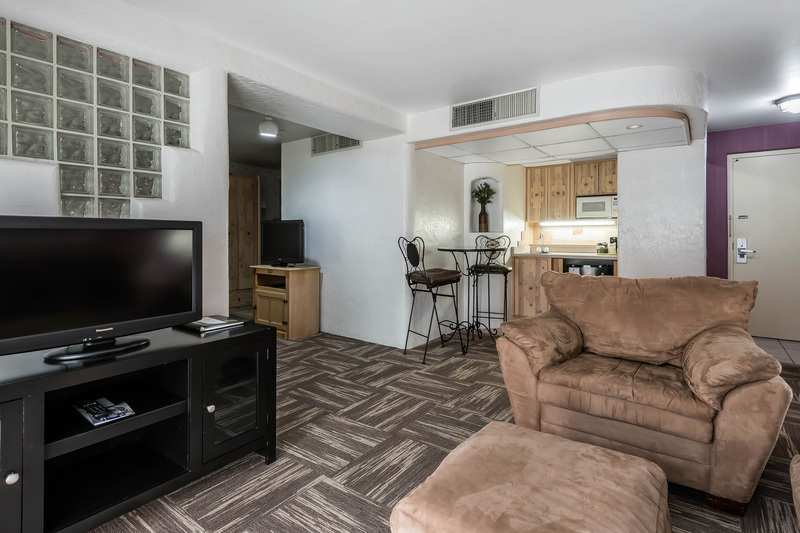 Enjoy free high-speed Wi-Fi, 32-inch LCD/Plasma TV with cable/satellite entertainment and a cozy recliner where you can sit back and relax. 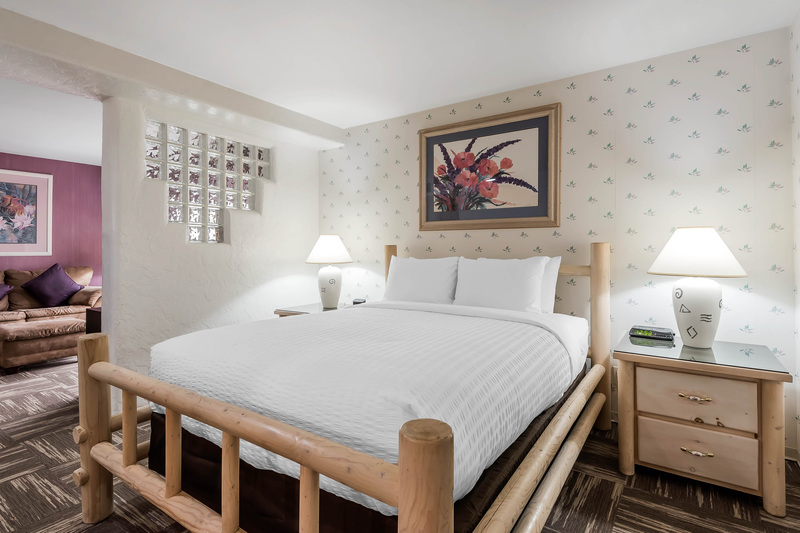 Get comfortable in a room designed to keep groups and families together. 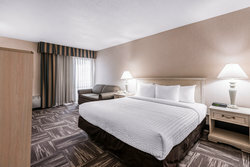 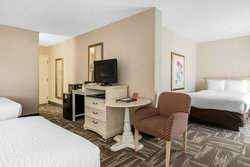 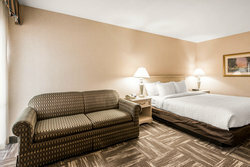 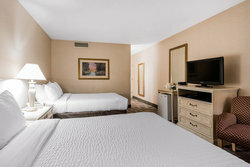 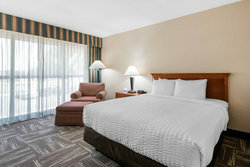 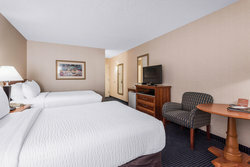 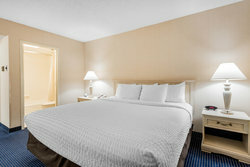 This spacious room provides three double beds, complimentary high-speed Wi-Fi, 32-inch LCD/Plasma TV and cable/satellite connection. Keep drinks and snacks chilled with an in-room mini-fridge for your convenience. 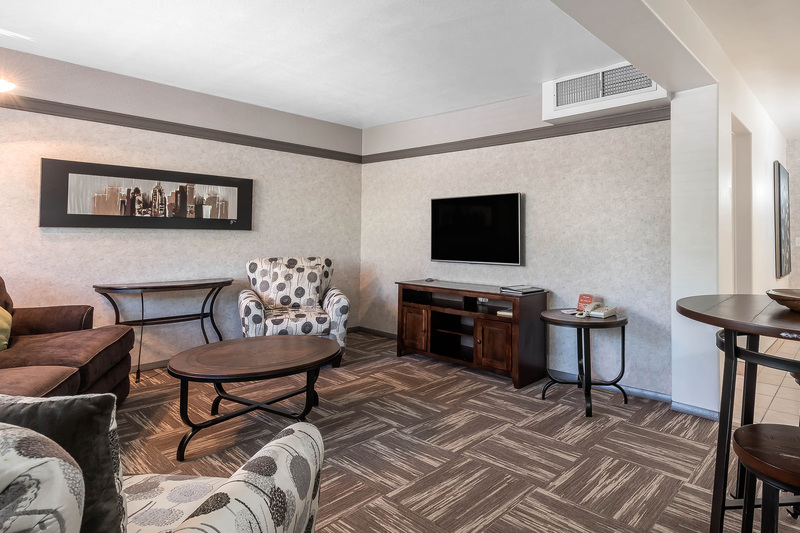 Relish in upgraded comfort in the spacious Juniper Suite. 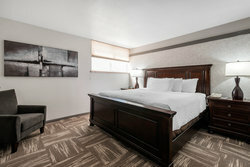 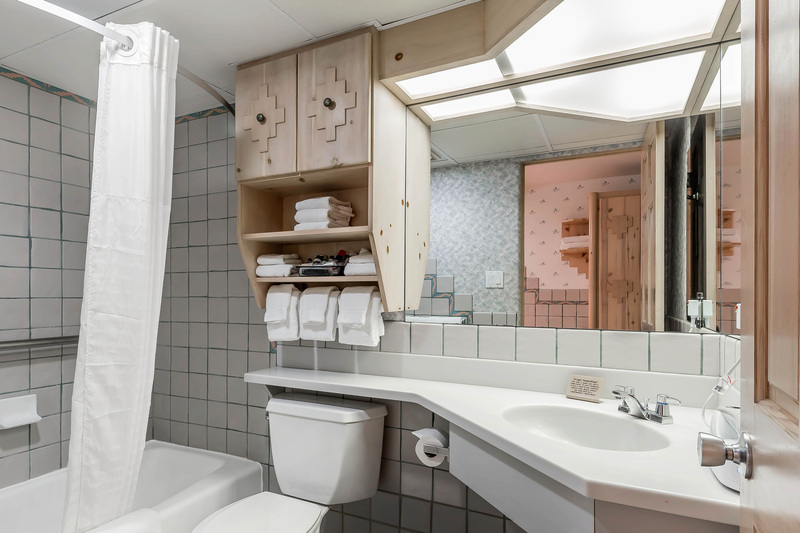 This 1-room suite features a king size bed, separated living space, 2 LCD/Plasma TVs, sizable work desk, complimentary high-speed Wi-Fi and a cozy sofa bed for extra company. 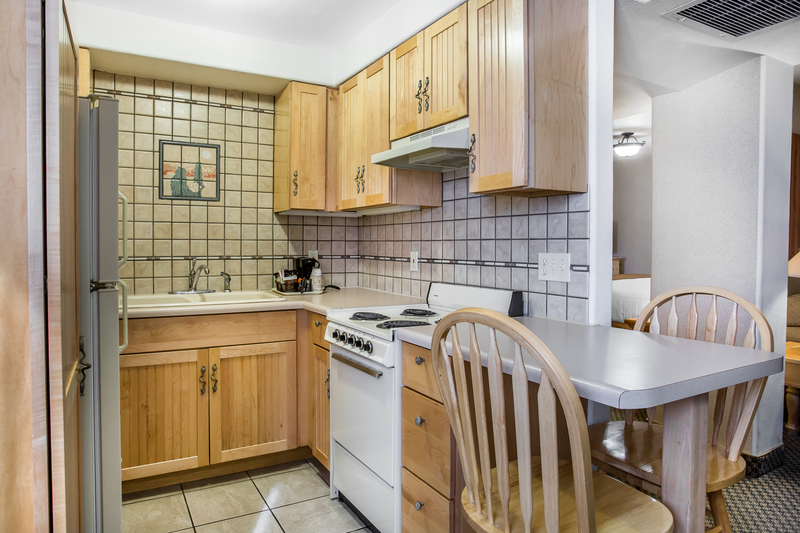 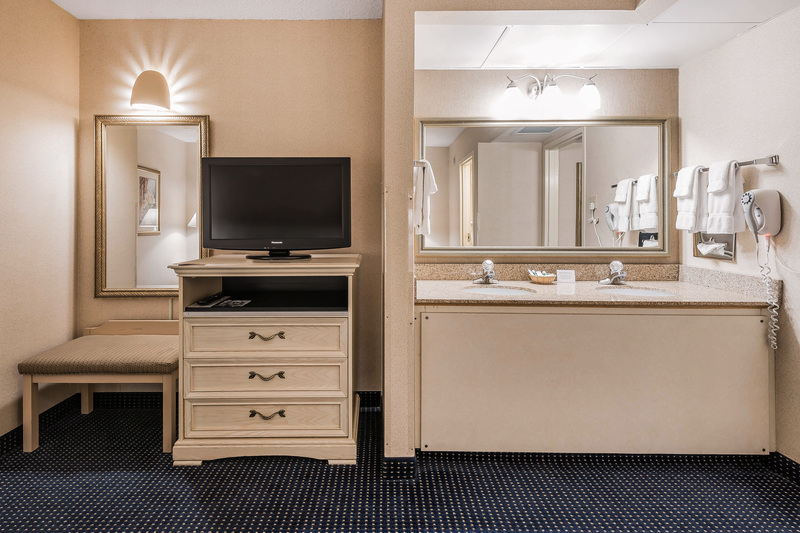 Enjoy the convenience of an in-room coffeemaker and mini-fridge. 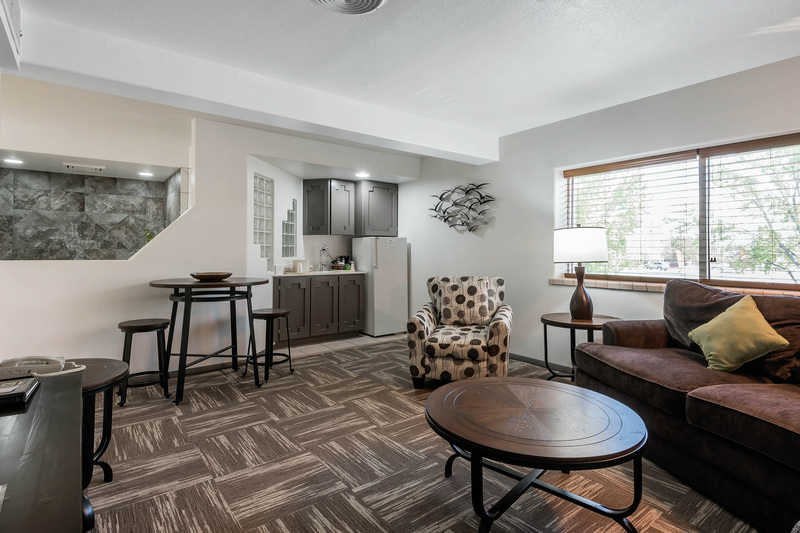 Feel at home in a suite designed for convenience with a fully-equipped kitchenette where you can prepare quick snacks or full meals. 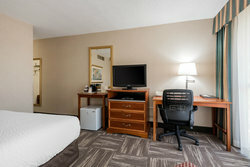 This suite features a queen size bed, separated living space furnished with a cozy sofa bed, desk and two LCD/Plasma TVs. 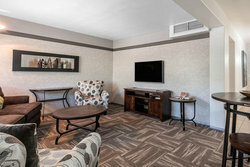 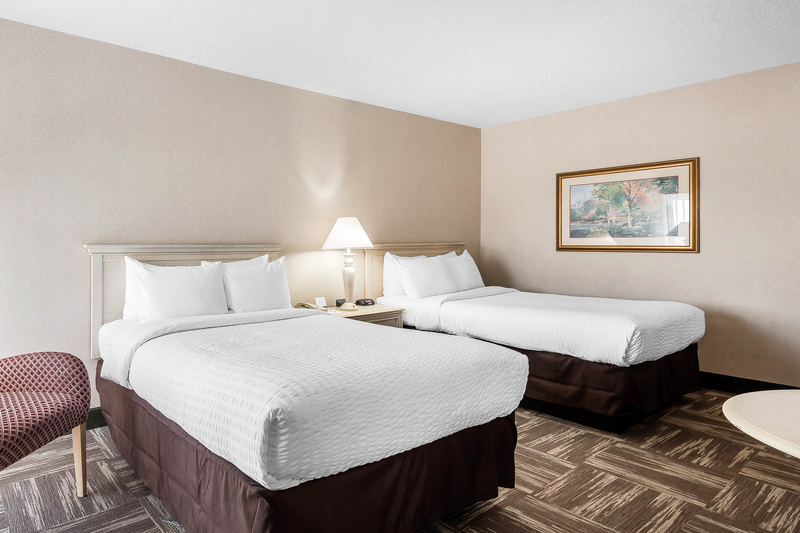 Stay connected with complimentary high-speed Wi-Fi and cable/satellite entertainment. 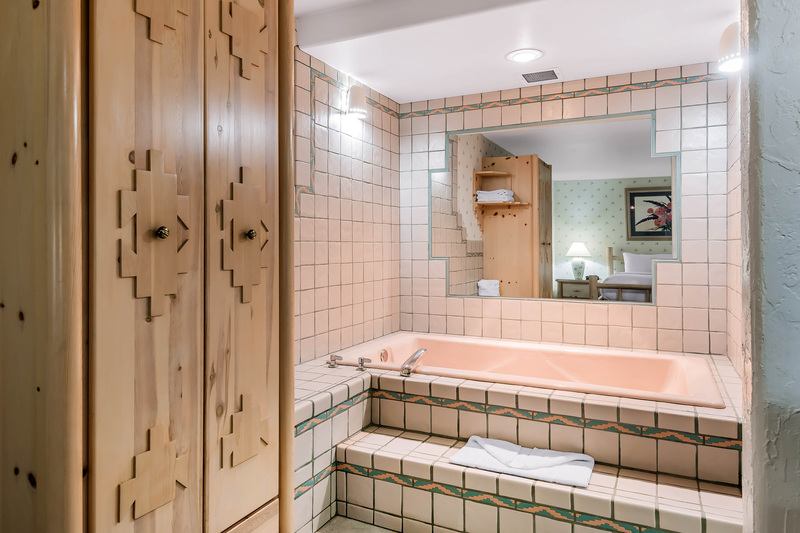 The Santa Fe suite is the definition of ultimate relaxation featuring an ensuite 2-person hot tub, private living room and cozy queen size bed. 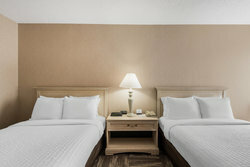 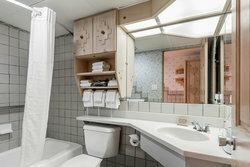 Enjoy complimentary Wi-Fi, 2 LCD/Plasma TVs with cable/satellite connection. 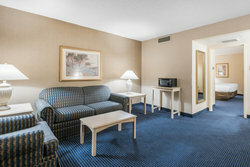 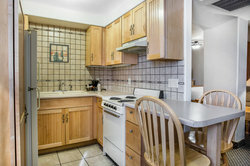 This suite also comes equipped with a work desk, coffeemaker, microwave and mini-fridge. 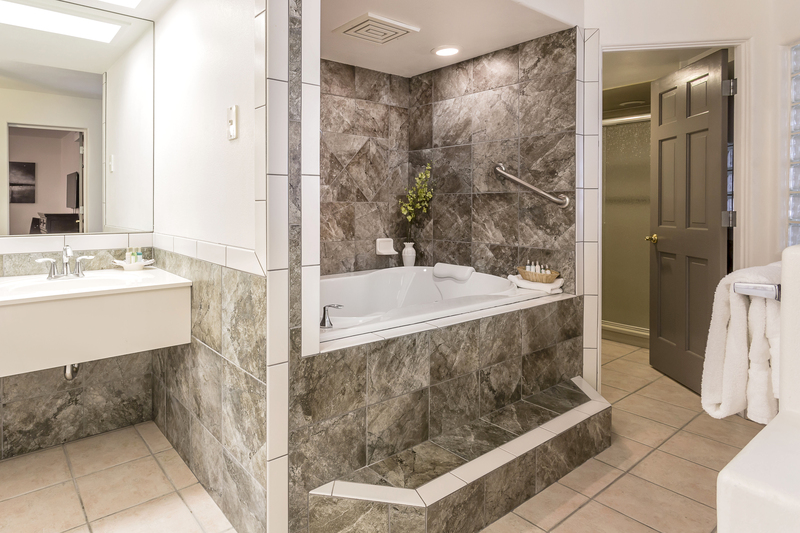 Stay in a room designed with functionality and relaxation in mind. Perfect for business travelers, the spacious executive suite is a two-room suite equipped with a king bed dressed in crisp linen and a cozy sofa bed in a separated living space. 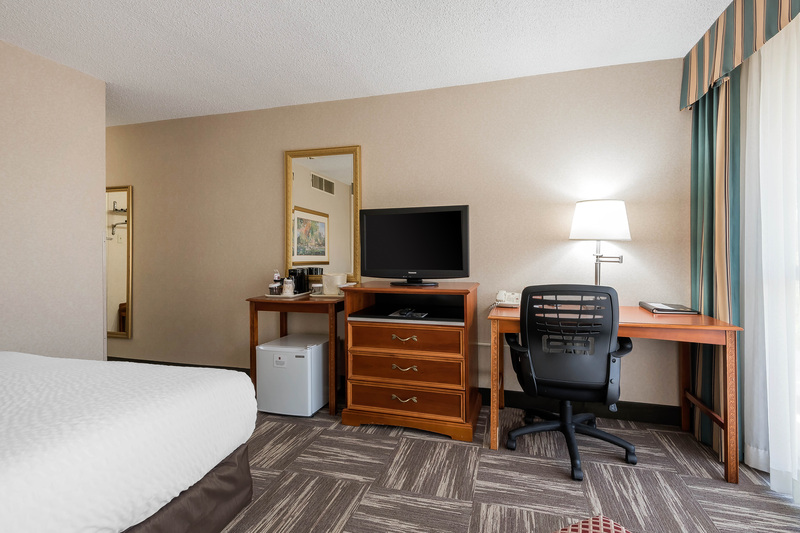 Stay productive with a dedicated work desk, complimentary high-speed Wi-Fi and in-room coffeemaker.